Lovely, no? Clean, clear, and comfortably confining. Not only that, but a satisfying legitimate excuse to use a papercutter or other sharp object. Have at it! PS Many thanks to my colleague Natalie Tagge for finding the original full page version somewhere in the depths of our office suite and passing it along. PPS More writing soon, I promise. 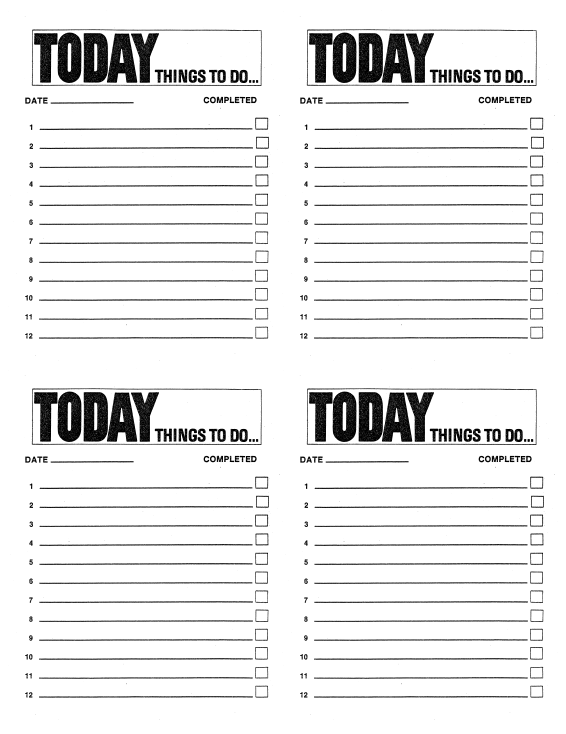 Hats off to Alex Chappell for actually finding and “gifting” me the To-Do sheets. She knows I love a To-Do list!